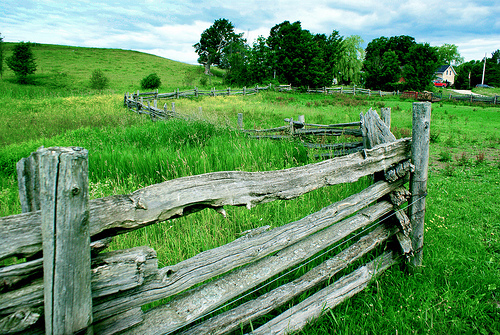 The grass is always greener… Keeping up with the Joneses… Shall I go on? It seems like our society is always after the latest and the greatest, the biggest and the best. As a result, we dig deeper and deeper into our pockets to afford it. But why? Is it really better? Is it really worth the cost? When one starts to take a look at what letting go of the bigger and the supposedly better really affords you without costing a dime, practicing a bit of spending restraint makes perfect sense, not to mention cents! Allow “need” to win in the battle versus “want” and you and your budget will win. Working to avoid a life of excessive upgrading can help ensure you not only get the absolute most out of what you’ve already invested in, but you’ll leave a much smaller footprint on the environment, too. Do you really need to upgrade to a new cell phone or electronic gadget or is the company simply looking to lure away more of your cash or looking to lock you into a new contract? A smaller home and purchasing less “stuff” in general benefits you in a multitude of ways, and not just financial ones. While organization is key to livability when it comes to cozy quarters, remaining in a smaller space instead of constantly buying up for more space offers you significantly more free time. Less rooms to clean and keep tidy, less maintenance outdoors and, often times, less time spent working to afford it. It’s a misconception, too, that more square footage automatically remedies space issues. In some cases, all more space does is simply spread out the “stuff.” Instead, divide and conquer even a smaller space by seeking out better organizational solutions that can make your current space work better. Another benefit to staying in a smaller place? You’re more apt to purge your home of unnecessary clutter and belongings more often than if you had extra space to simply stash it away. Avoiding the allure of constant upgrading is also far less stressful. There’s a lot to be said for keeping things simple. No need to constantly retrain yourself on how to use a new gadget or the ins and outs of a new product. You’ll also experience less stress from working overtime or long hours in order to afford a particular lifestyle and less time spent trying to educate yourself on what’s next to come around the corner. Change is often good, granted, but not necessarily when it involves unnecessarily and prematurely trading up. I’m not so sure keeping up with the Joneses is all it’s cracked up to be. They’re likely overworked, overspent and quite likely too wrapped up in the latest and greatest to care much about anything else. So as for me, I’ll let them stay on that hamster wheel that never stops and I’ll focus on growing wealth. And not just of the financial variety either. By letting go of the need for what’s constantly knew, I can embrace the wealth of less stress, more time and – quite often – more space. Join me? i’ve lived in some small places throughout my life thus far, so when it came to buying a home, I bought a big house. despite only using one floor, the spaciousness adds to my sanity and happiness, b/c i do not have the constant sense that the walls are closing in on me. i can see why people promote downsizing to save money, but life isn’t all about the money. i also understand that the tendency for people to accumulate crap to fill up their big houses is greater when you have more space, but ever day i walk my dog around our neighborhood and see all the crap over filling my neighbors’ garages, remains a constant reminder that I hate clutter. besides, if i got more stuff, it would make the house feel like it was closing in on me again. conversely, i’ve seen many a cozy home that is bursting at its seems with stuff. my wife’s former coworker had two rooms dedicated to accumulated stuff and you could not walk into those rooms. in the end, i do not believe it is the size of the house that correlates to the accumulation of more junk. the problem of latest and greatest and the allure of the new, is that it is innate within us. Humans are naturally inquisitive, always adapting and always learning (despite the can’t teach an old dog new tricks adage). so, we have our work cut out for us to resist a natural impulse of what it means to be human. Our house burned down, no insurance we now have a 2500 square foot house and keeping in minimal and simple. It taught us material things are a waste of money more often then not, dust collectors, bad for allergies and make for constant extra house work and cleaning! There are 5 of us and the kids only getting larger. Also the resale value is good and we are ahead even in this economy because of the house we chose, location etc so we will make money when we move. I love a large house it is an effort to keep it minimal for sure. Staying in camping cabins did make us realize we could do very small if we ever had to. Our house is an investment and we appreciate and value its size we wont need to upgrade constanly like some do when their families grow. We may even downsize in later years and have some cash to do even better with less debt!